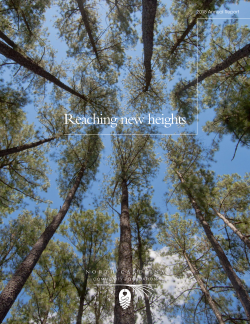 NCCF's 2015 annual report has mailed and was just posted online. Additionally, a special companion website section is available here that expands on a few stories of some of the people, fundholders, programs and grants making an impact throughout our state. Our assets reached $237,000,000 at fiscal year-end. The Foundation’s cumulative grants total surpassed $100 million. We received our largest endowment to date through the generosity of Mrs. Louise Oriole Burevitch, whose estate provided a $20 million fund. Issued concurrently with the annual report are NCCF's 2014-2015 Affiliate Profiles and the 2014-2015 Donor List (both as of fiscal year-end 3/31/15) as downloadable PDFs. These documents also can be mailed to you by emailing Lori Johnson or calling 919-828-4387.